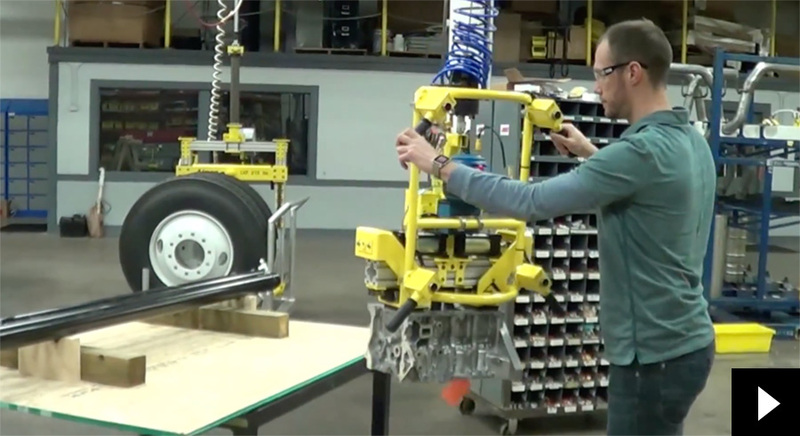 These videos show the end tooling products designed to handle parts for the automotive industry. Watch the AIMCO Mechanical Grab on G-Force lift engine blocks with ease. 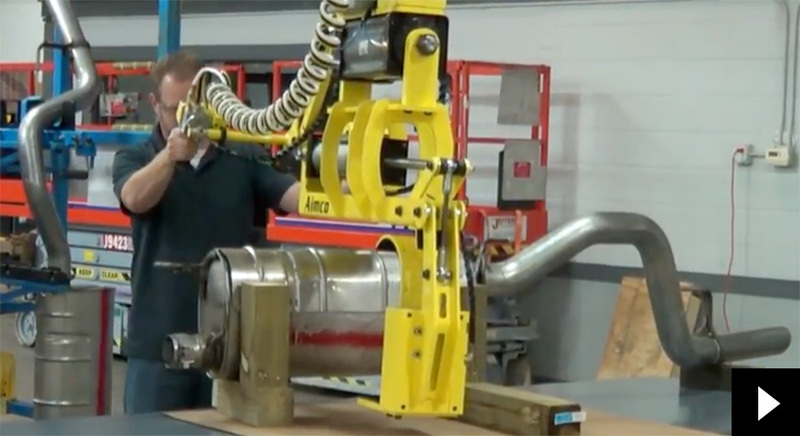 Watch multiple AIMCO systems lifting and maneuvering various mufflers. 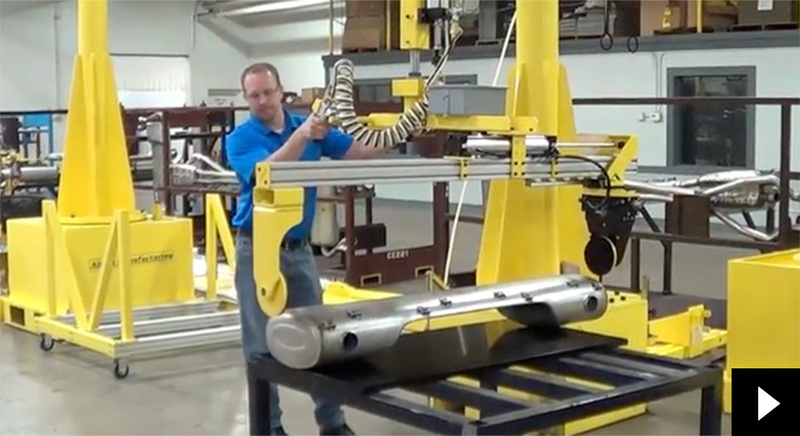 Watch the AIMCO Mechanical Grab with Rotate and Tilt for mufflers.